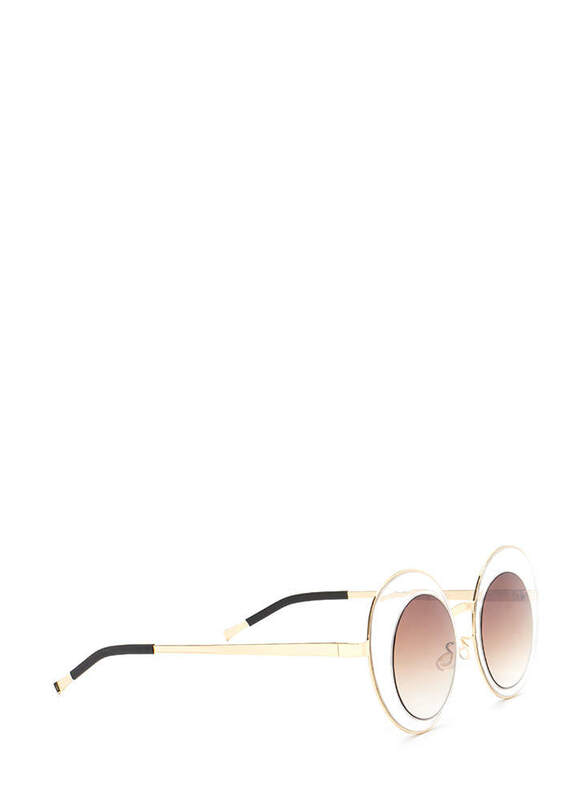 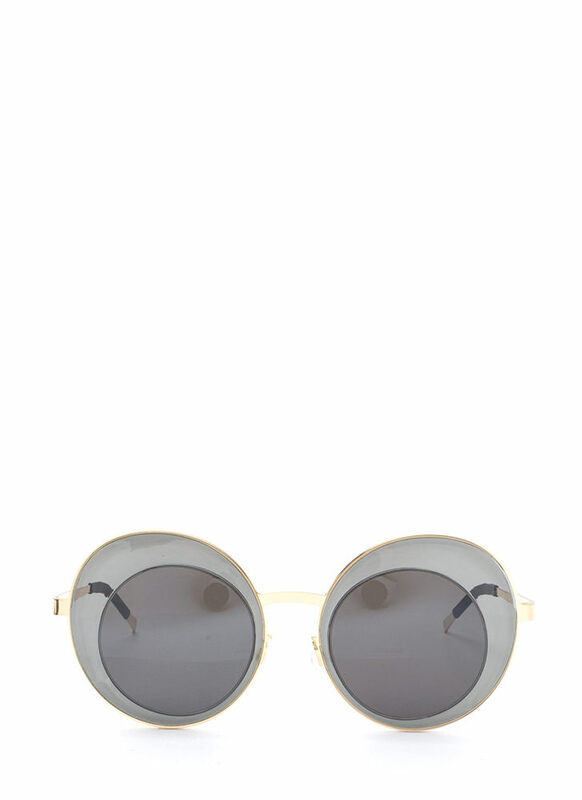 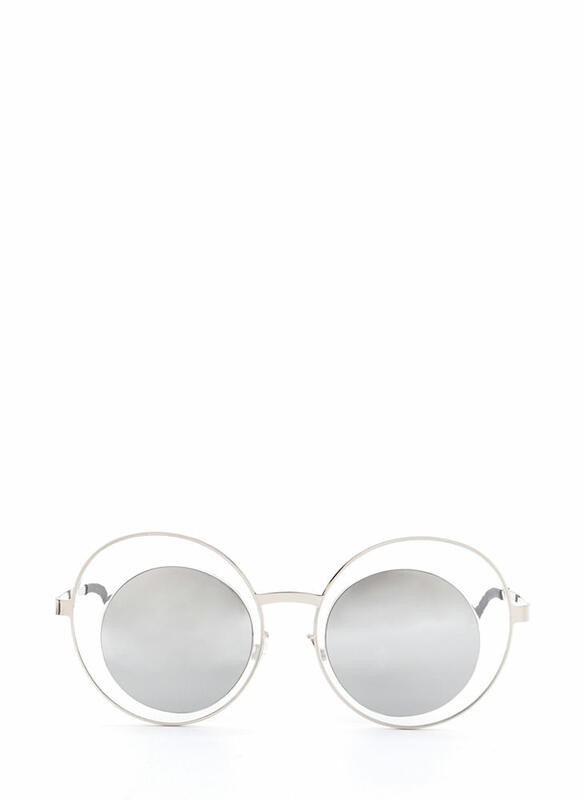 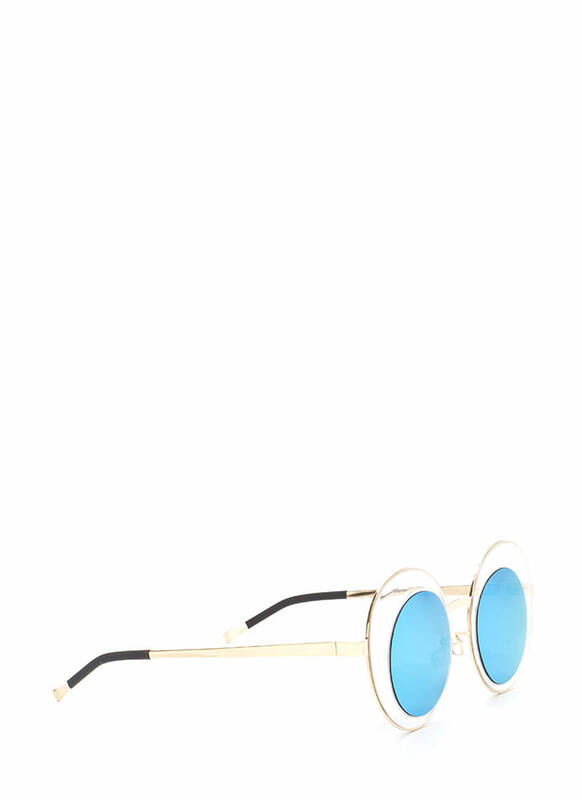 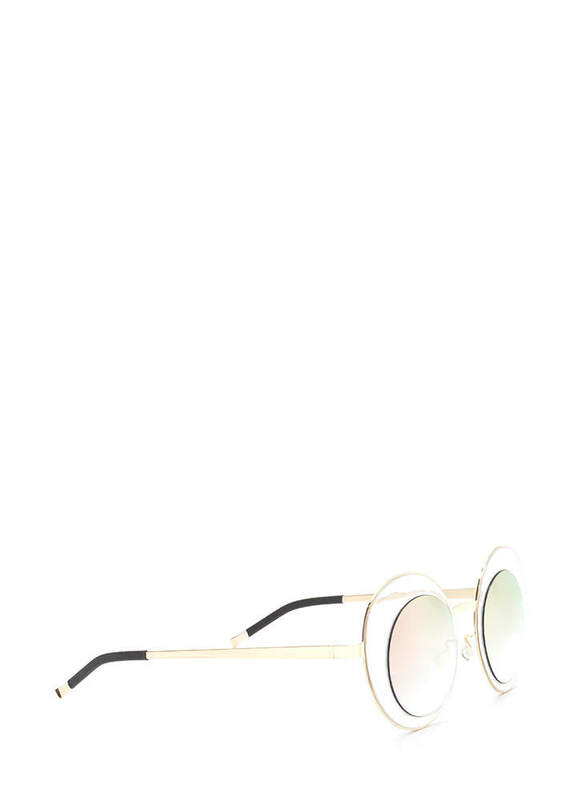 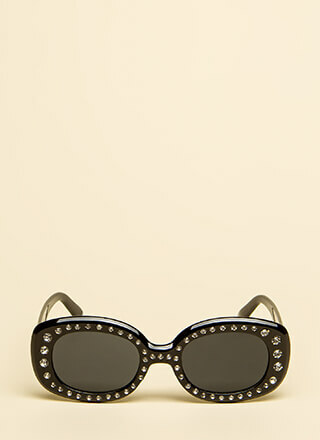 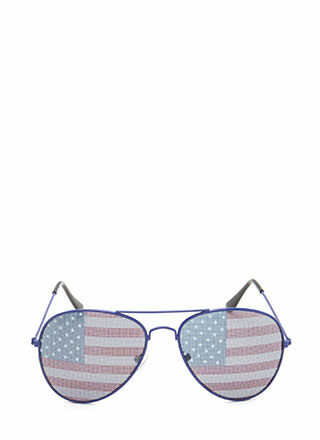 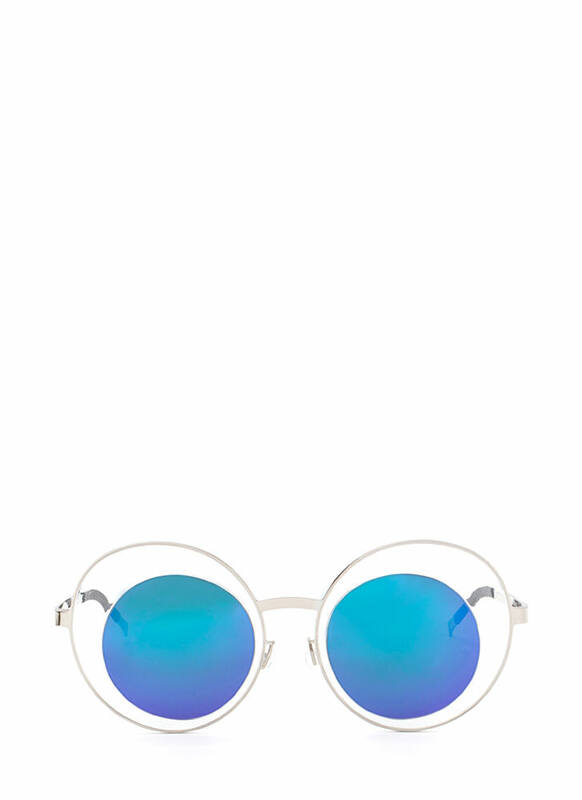 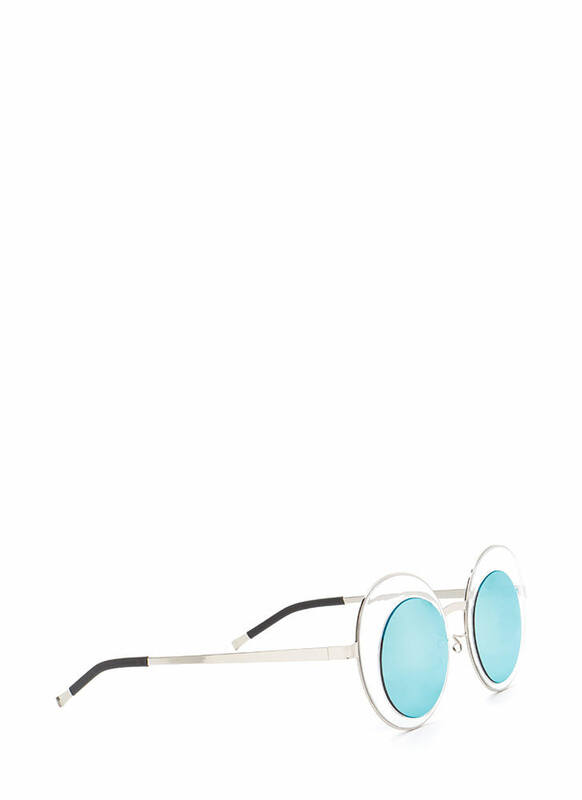 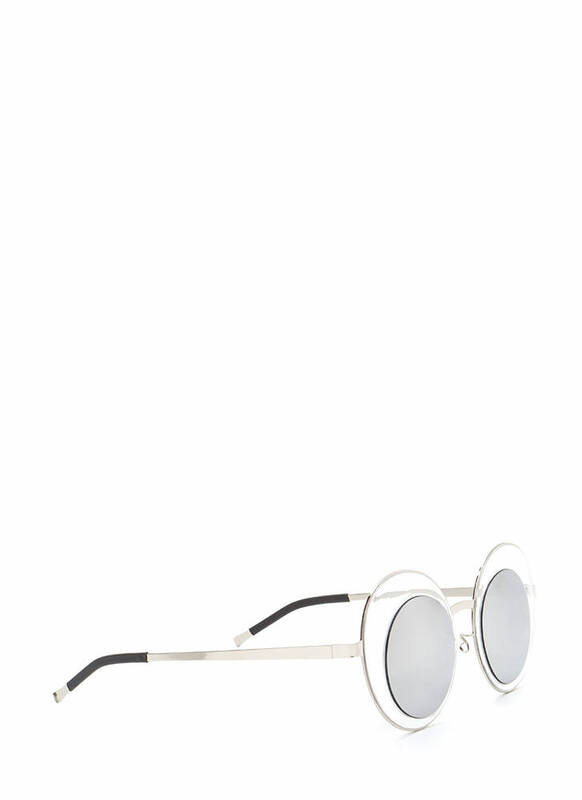 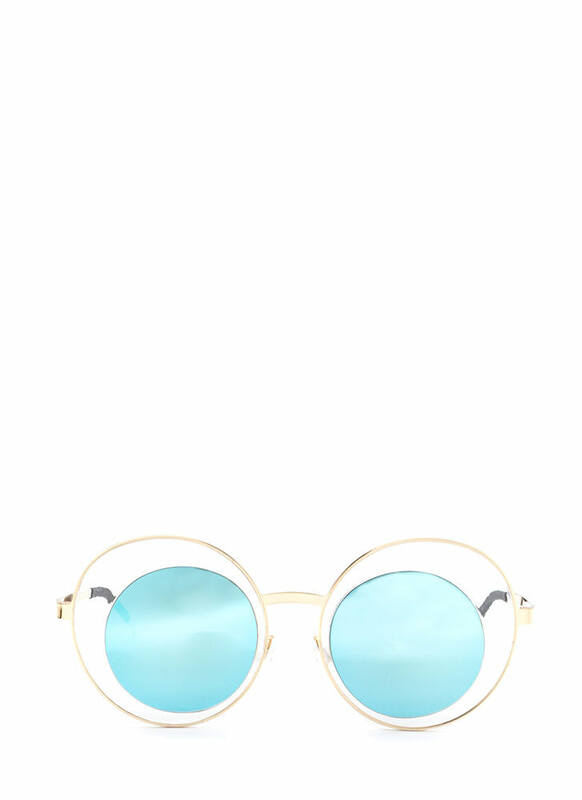 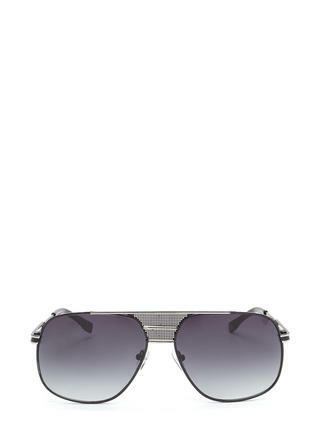 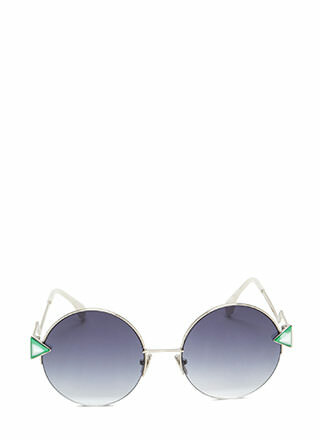 These distinctive sunnies will cast a futuristic touch to any look! 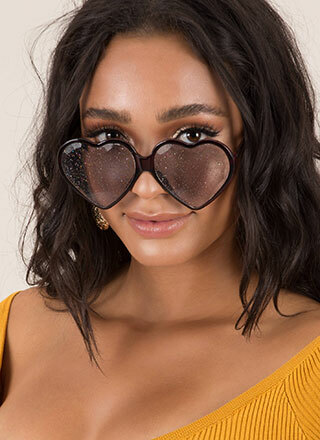 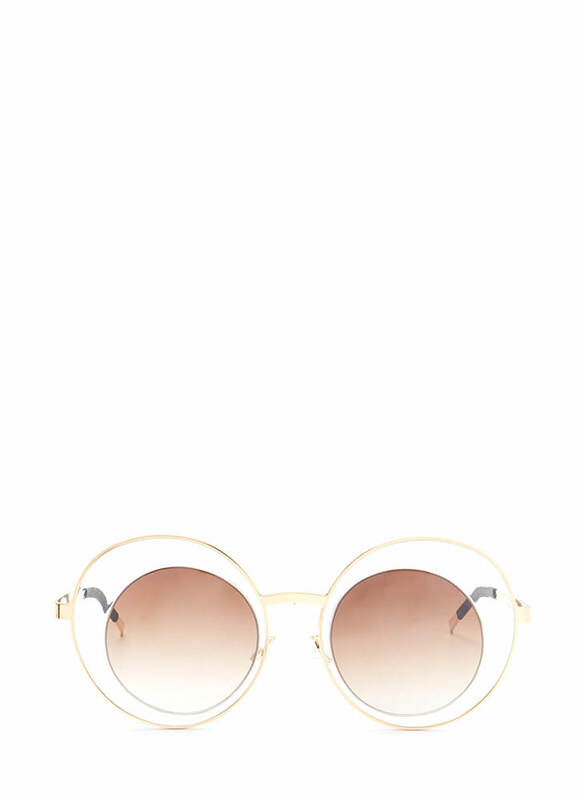 Lightweight sunglasses feature round lenses set into a see-through resin frame with metallic wire borders for a floating silhouette. 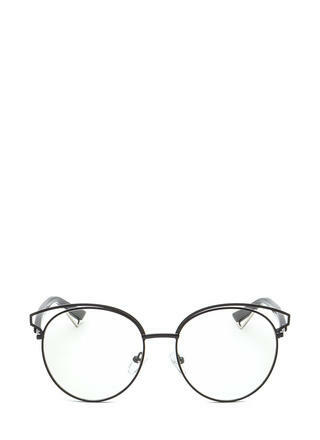 Skinny, flat-edged, gently curved bridge leads to matching arms with smooth trim. 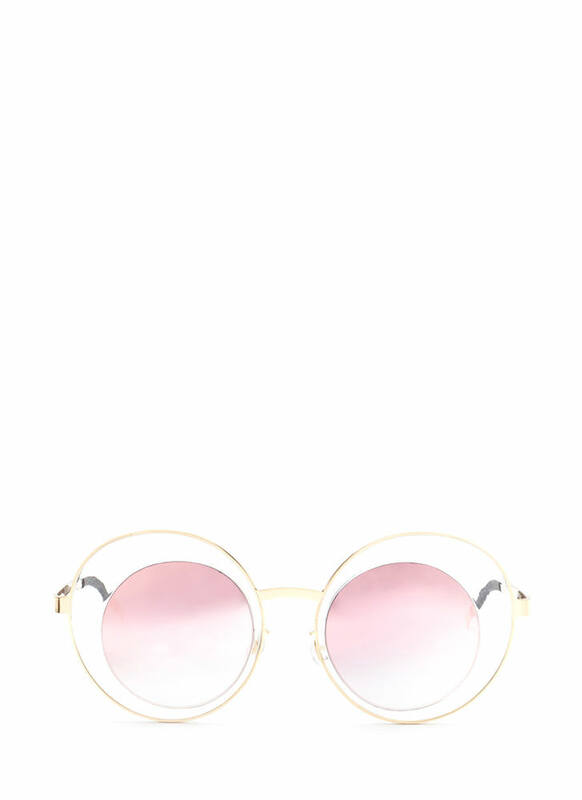 Finished with adjustable rubber nose grips.